Sometimes I go to the grocery store with a list and a plan for recipes I intend to make. Other times my strategy is to shop the sale items and plan around them, which exercises my creative-cooking muscles while helping out ye olde grocery budget. So I’m strolling the sort of smallish produce section in our sort of smallish local grocery store, when what to my wondering sale-seeking eyes should appear? Kale. 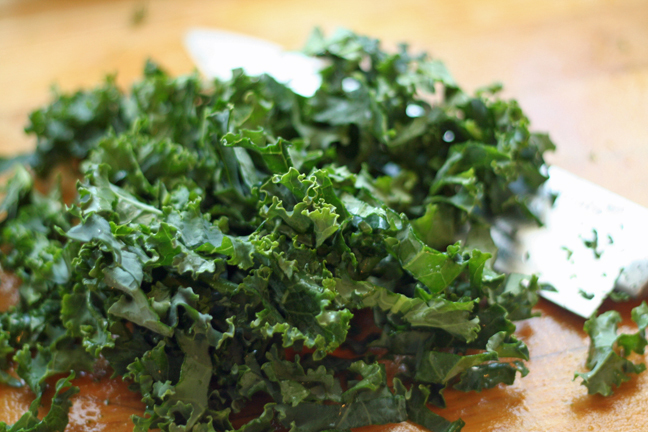 I’ve never had kale (except for one unfortunate foray into kale chips), but I remembered seeing a recipe somewhere on the internets involving kale and sausage in a soup. 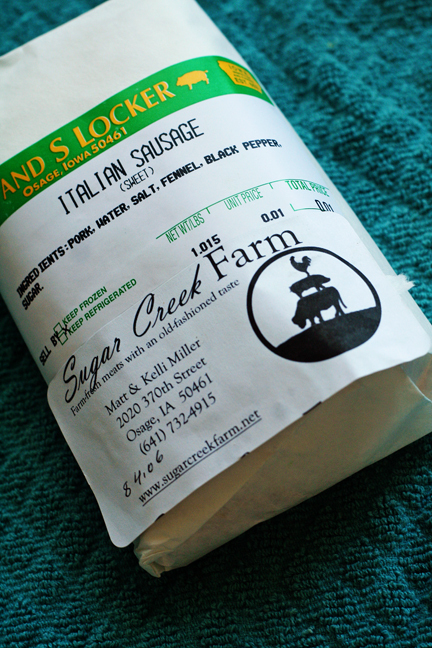 We all know how I love me some Sunday afternoon soup making, so I threw a package in my cart and figured I’d figure it out later. 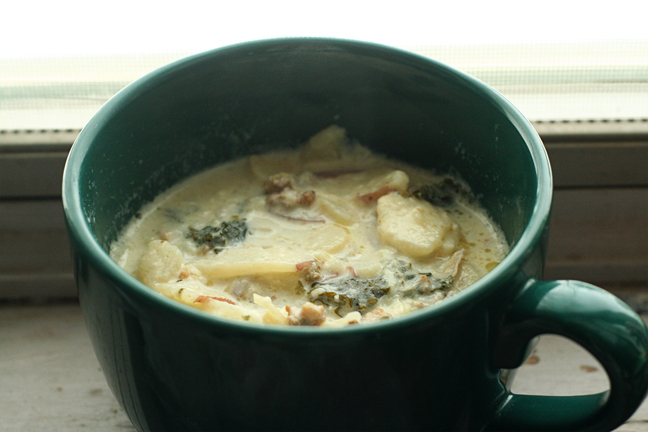 A quick Google search found me exactly what I was looking for: Pioneer Woman’s Sausage, Potato, and Kale Soup. I made it last Sunday for the “Soup”-er Bowl (which I didn’t even really watch because I’m about the food part of that particular holiday. Or any holiday, for that matter.) Matt & I just finished off the last of it at lunch today and I’m already thinking about when I can make it again because it was that good. 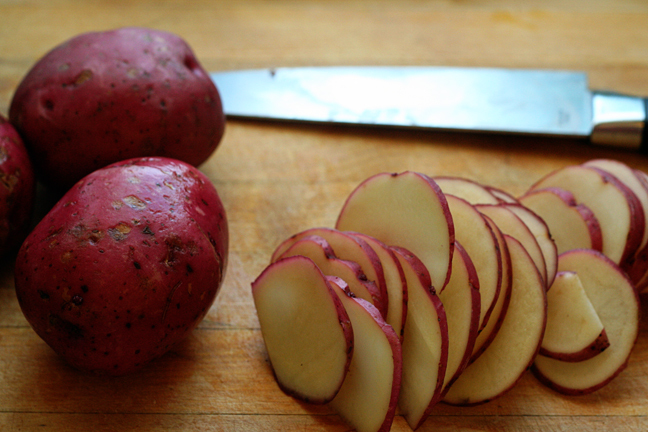 The recipe calls for a dozen medium red potatoes. I never know what’s considered “medium”, but after slicing up the ones I had plus a few extra’s for good measure I felt like maybe I’d overdone it in the potato department. But it all seemed to work out fine. The recipe calls for two bunches of kale, but I had only bought one package so that’s what I went with. But it all seemed to work out fine. 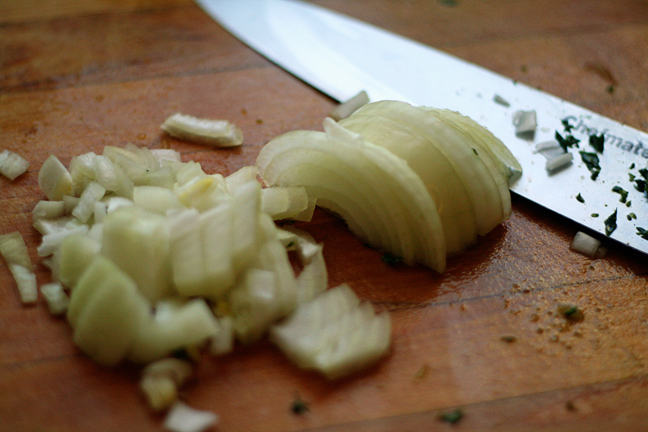 And finally a chopped onion. Next up, I’ll tell you about the wings I made on Sunday with the wings I’ve been hoarding since this post.